Having a Brother is a great blessing! A brother is not only the one who will fight with you but is also the one who will fight for you! If you have been rude to your brother then you must apologize. Your Brothers may not show when he is hurt and that is why you may think he is fine. But if you have been rude saying sorry is a must. 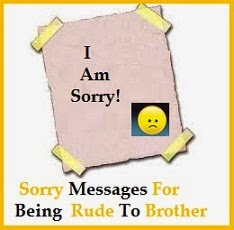 To help you apologize to your brother here is a amazing collection of sorry messages for being rude to brother. Mom and dad have always taught us to never fight and stick by each other. I am really sorry I was so rude to you. I said awful things to you and I apologize to you for them with all my heart. I have a lot on my mind these days but that is no excuse to the way I talked to my lovely brother last night. I am so sorry for it. How I behaved with you the last time was foolish and insensitive and that is why I wish I could turn back the clock and make everything better. I am sorry. No amount of sorrys will take back the stupid things I said to you while fighting. I wish I had just kept quiet. Please forgive me? Today I know the meaning of true guilt. I hurt my only brother, the one who has never been bad to me. I am so sorry! We have always been told to be kind to each other and all I did was be mean to you for no reason at all. You probably hate me by now but please know that I will never do it again. I am sorry. I know my sorry may not mean a lot to you right now. But please give me a chance to show you that I am truly sorry for all the things I said. You’re not just my brother but my very best friend. You know everything about me. I am so sorry for being rude to you. I know I made you feel bad. I am sorry. You have always been there to talk to me, to make me feel better and protect me when I am in need. 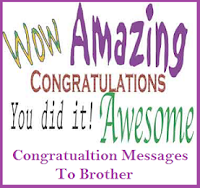 You’re the best brother and I am sorry for how I have behaved with you in the last couple of says. Please let me make it up to you? I will do your chores for week. That is how sorry I am right now. Please forgive me I am so sorry . I cannot imagine my life without you. You’re my biggest support and you help me keep going on. I wish I was nicer to you. I am sorry for everything. I am grateful that you are in my life. You make me feel I am not alone, ever. Please forgive me for the awful things I said? In this world, brothers are father-figured. 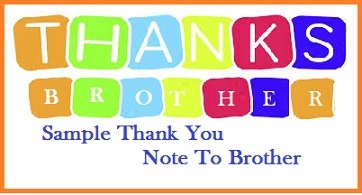 You should be thankful if you have a brother whether he is younger or older to you. You can always trust on your brothers. They have the ability to pamper you in times of sadness. Moreover, they are always there to support you all the way. Nevertheless, sometimes you hurt your brother. 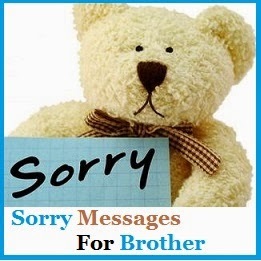 In case you hurt your dear brother, your next thing to do is to try comfort him and say him sorry for whatever you did. Here are sample sorry messages for brother to choose from. Mom taught us to be good to each other, but I can’t believe the fight we had last night. Sorry brother for whatever it caused, I promise to be good to you. I’m really sorry. You are my brother and I want you to know that you are priceless. I’m sorry if I disobey you. Sorry my dear brother, please forgive me. I feel so sad and bad after throwing those words to you. I’m sorry brother. I want you to know that you are so dear to me. Brother, I feel so grateful having you as my brother. But I also want to say sorry for every headache I cause to you. I love you. Brother, this is to say sorry for what I have done to you. All the pains I have caused you, I’m really sorry. I sincerely apologise. How can I say sorry to the best brother in the world? I really feel so bad and guilty with what happened. Those words, I shouldn’t have said. I’m really sorry brother. I want you to know how sorry I am, I may not a perfect brother/sister to you but I’m so thankful for always being the best brother to me. I adore you because you are so good just like our father. However, sometimes I act to badly and stupid. I’m sorry my dear brother. I want you to remember that I will do anything to be a good brother/sister to you too. I love you brother and I’m sorry. Brother, you always loved me and cared for me. 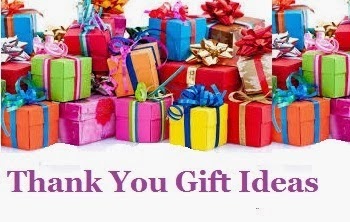 Thank you for showering me your support and affection. Also, I would like to say sorry if sometimes I’m so stupid. Sorry brother if I disrespect you or disobey you. 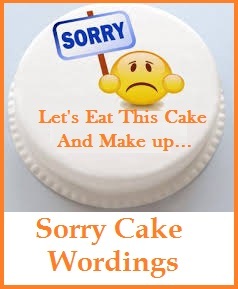 I just get carried away when I am angry and I want to say sorry for everything. I hope you will be able to forgive me. I’m asking for an apology because you are important to me. Our relationship and friendship is something priceless for me. Brother is a great blessing of God. I know I should be nice to you but sometimes I admit, I fail to do that. I’m sorry brother for all the pains and headaches I have caused you. My dear brother I want you to know that no matter what, my love for you will never fade. You are so special to me and I just want to apologize for the misunderstanding we had. I promise to be good next time.